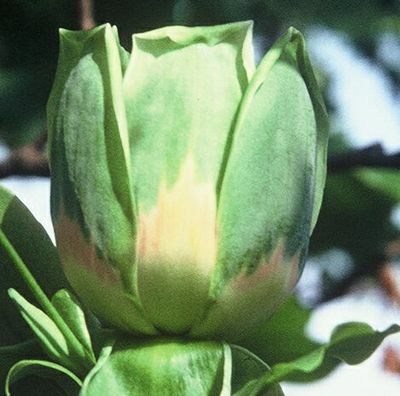 "Tulip poplar blossom near Cole Hall, 1976" by L. Michael Hill Ph.D. The flower of the tulip poplar is large and showy. You can see how the common name was chosen, taken from a specimen near Cole Hall, 1976.